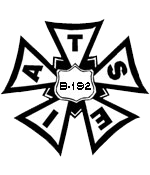 There is a $20 application fee, $100 initiation fee (payable in weekly $25 installments), and monthly deduction of $20.50 ($12.00 dues + National IATSE Fee and Per Capita Fee). Your Union negotiates contracts and represents you in grievances when your contractual and legal rights are violated. Legal fees, meeting costs, organizing and administrative expenses all come from your dues, initiation fees and application fees. Can the Union guarantee me hours? No. Based upon qualification, your Union contract guarantees minimum rates, raises, breaks, status changes, insurance, vacation and many other benefits and working conditions. However, the Union cannot control the company s business upswings and downturns, therefore we have no say in the number of hours an employee may get. If I'm never going to be guaranteed any hours, how will I move up? As a contractual obligation, scheduling is done on a seniority basis. The more time in service, the more hours you get. The more hours you get, the higher up the schedule you move. The higher up the schedule you move, the more days you get scheduled. If I work seasonally, do I still have to pay dues in the months I don't work? Yes. You are responsible for paying dues every month that you hold membership. The fact that you are not working does not alleviate your responsibility to the Union. In the months that you don't work there will not be a check-off from payroll, so it is your responsibility to pay the Local directly. You do. The day-to-day operations are handled by the office staff and officers, Local B-192 has an Executive Board elected from the ranks by the membership. Any changes to the Constitution and By-Laws must be approved by the membership. Do I really have a say in the Union? Yes. You are encouraged to attend the quarterly General Membership meetings. Meeting notices are mailed to members "In Good Standing". Any issues you may have that involve your unit or the entire membership may be presented at the membership meetings. For individual issues contact your Steward during breaks or lunches at work, or call the Union office between 9:30am and 5:30pm Monday through Friday. Stewards are appointed by the Local President to represent you in any disciplinary meetings or grievances. They are trained and well versed in the contract as well as basic labor laws that affect you in the workplace. The Executive Board meets monthly to review the practical, administrative and financial state of the Union. They make decisions that impact the day-to-day operation of the Local and report to the membership at the quarterly membership meetings. The President oversees all aspects of the business of the Local. The Vice President is responsible to handle the presidential duties in the absence of the President. The Secretary/Treasurer is responsible for all correspondence and financial matters relating to the Local. For the complete listing of duties of the officers, please refer to Article VI of the Constitution. The Trustees are the financial watchdogs of the Local. They are elected by the membership to review the books and make sure the finances of the Union are in order. If I am disciplined, can I have a Union representative in the meeting? Yes. Your contract guarantees you the right to have Union representation anytime a manager asks you any questions that could result in disciplinary action. This includes personal meetings and phone calls. If a rep is not available, you should request that a Union member "of your choosing" witness the meeting. If a manager begins to ask questions that you think may be leading to discipline and Union representation is not present, state the following: "If this discussion could lead in any way to my being disciplined or terminated, or affect my personal working conditions, I respectfully request that my Union representative, officer or steward be present at the meeting. Without representation, I choose not to answer any questions." Is the Union owned or run by Universal? No. Local B-192 is an autonomous non-profit labor organization chartered for the purpose of protecting your rights. Company run unions are illegal because workers cannot be fairly represented if the organization representing them holds a personal stake in the issue. Do I get a premium if I am instructed by a manager or supervisor to perform duties I would not normally do? It depends. If you are asked to perform duties not covered by our collective bargaining agreement (CBA), you may be entitled to an additional 15%. See your rep if you have questions. You can contact any of the Stewards and Executive Board on lot during breaks or lunches. Remember, they must also be on a break to discuss Union business. You may also contact the officers and office staff by calling (818) 509-9192 or stopping by the Union office.